When I was getting ready to study abroad in St. Andrews I spent a lot of time pouring over Google Maps street view and wondering: where is the campus? It wasn’t until I arrived that I discovered why it was so hard to find–the city is the campus. St. Andrews is built along three streets, all converging on the cathedral for which the city is named. There is shopping, housing, campus buildings, and cafes on all three. And eventually, no matter where in town you are, if you keep walking you’ll find one of the town’s three beaches. Now that I’ve spent a semester in St. Andrews, I know the lay of the land and am going to give you a tour and student’s guide to the city. This is the central street in St. Andrews, and one of the busiest. The most important building located here is the Student Union. On the ground floor you’ll find the Rector’s Cafe–a great place to grab a sandwich and a cup of coffee for lunch. It fills up quickly though, and seating can be hard to find. However, during the day there’s usually plenty of seating available behind the cafe in the Union’s Main Bar, which also serves a lunch menu. 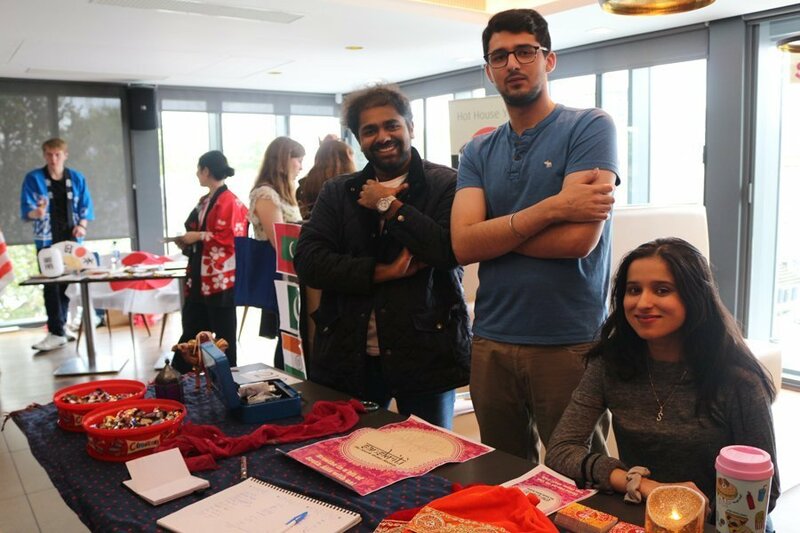 The Union is the location of many of the big university events such as the Fresher’s Faire, job fairs, and weekly bops at Club 601. The third floor is made up of meeting rooms, practice rooms, and rehearsal spaces for the university’s many societies and performance groups. The Union also has its own theatre for students to put on performances and Blackwell’s, the university’s official bookstore. Market street is also where you’ll find two of the best options for grocery shopping: Tescos and Salisbury. Salisbury is a little smaller and slightly more pricey but tends to be less crowded. Tescos is the major shopping option for the town and can be really crowded in the late afternoons when school is out. Tescos also offers a grocery delivery service directly to your refrigerator door. Yes, that means all the way up the three flights of stairs to your dorm room. The delivery fee is between £4-12 which, if you live outside town and have to carry groceries a mile, is totally worth it. At the end of Market Street is Comars: “The Best Fish and Chips in Scotland.” Just next to Cromar’s is a fantastic used book shop. South Street starts at West Port. 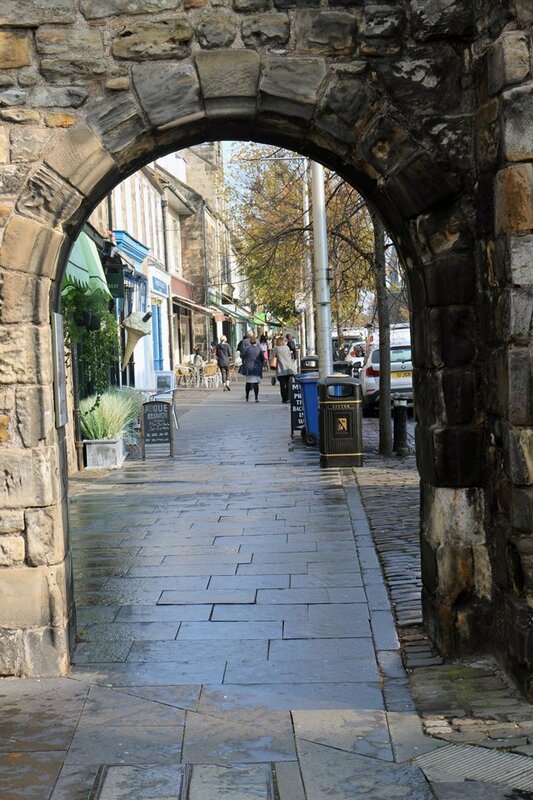 West Port is one of the last standing ports of entry through the medieval town walls, and is one of the best examples of medieval gates in the UK. 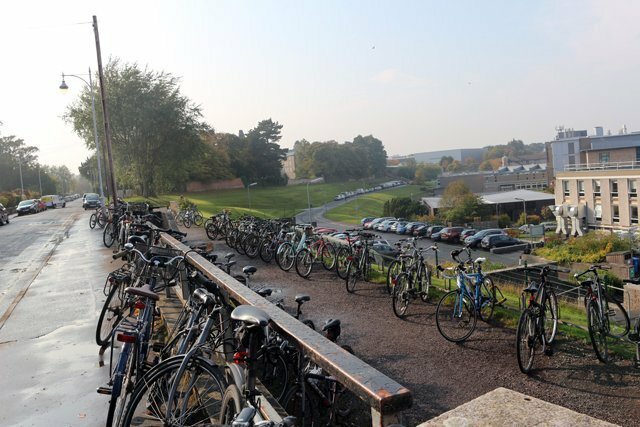 Directly across from West Port is the Whey Pat, one of the meeting places of choice for the university societies. The Whey Pat also hosts a folk music jam session every Tuesday from 9 p.m. to midnight. Once you go through West Port you’re in a slightly more upscale shopping district. 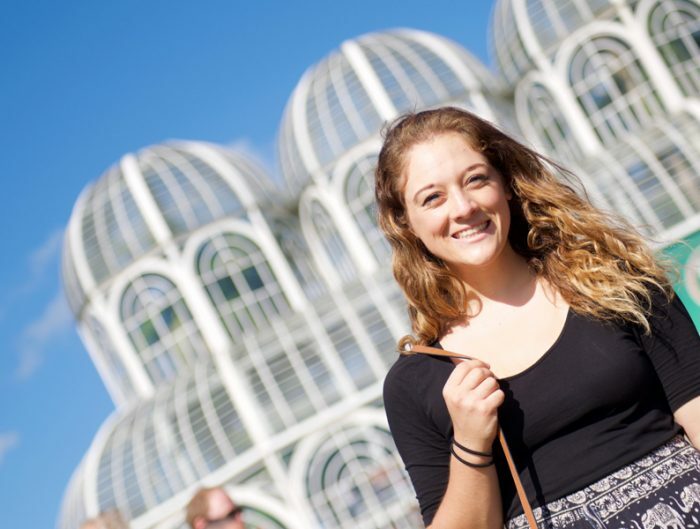 There’s a plant shop, a tattoo parlor, a kitchen supplier, and the famous Janetta’s Gelateria. An important place to note is St. Andrews Brewing Company Pub. Known as St. Andrews Brew. co. pub for short (which isn’t much shorter) it’s another popular meeting place for university societies. The second floor has large tables with benches which are perfect for group projects. At lunch time it’s nearly deserted, making it an ideal place for studying. Campus buildings on South Street include the School of Medieval Studies, Parliament Hall, and St. Mary’s Quad: home of the School of Divinity and the practice field for the Quidditch Team. At the other end of South Street is the iconic St. Andrews Cathedral. Access to the cathedral grounds is free. 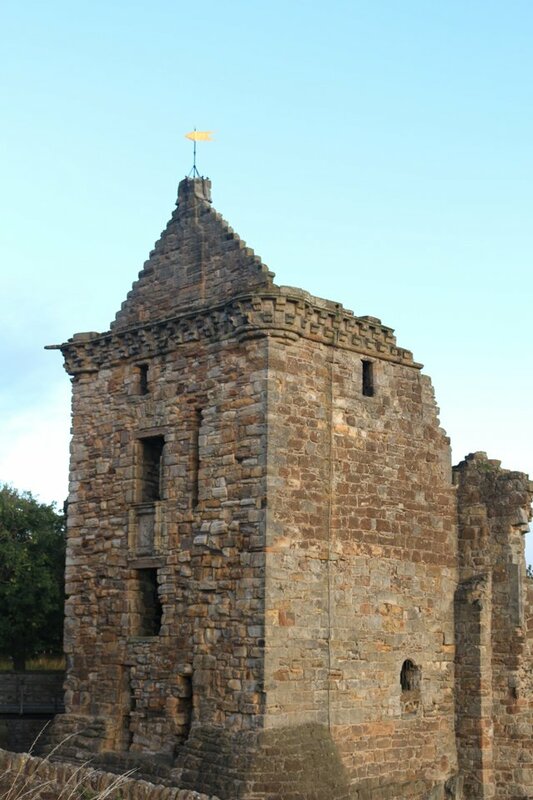 Access to the museum and St. Rule’s tower is £5. The view from the top of the tower is stunning, and well worth the experience of climbing the ancient spiral staircase. The Pends runs along the outside of the cathedral and down to the pier and East Sands. The pier is the location of the traditional Sunday morning pier walk. 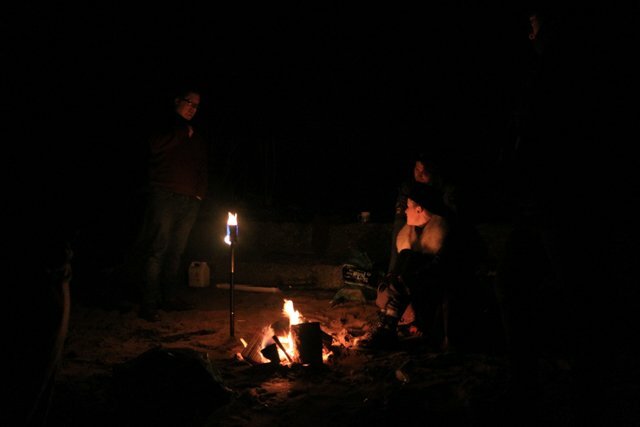 East Sands is a popular beach for swimming and bonfires. St. Andrews has an active sailing society and surfing society. This beach is also the starting place for the Fife Coastal Path. The path is 117 miles of walking trails along the coast from Edinburgh to Dundee. Most of the path is accessible by bus and can be explored in small sections. A few miles from East Sands is Rock and Spindle, a volcanic rock formation that can be easily visited in an afternoon. 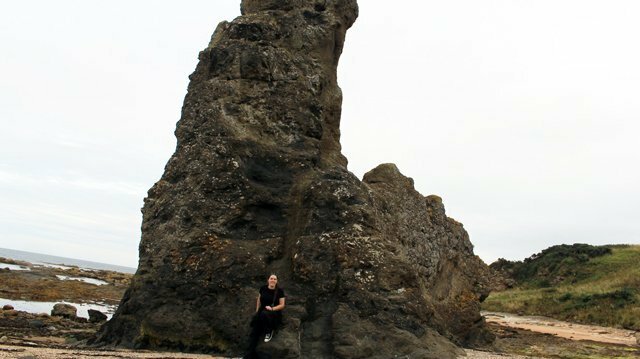 A few miles from East Sands is Rock and Spindle, a volcanic rock formation that can be easily visited in an afternoon. North Street is mostly residential. It is the home of the cinema and Martyr’s Kirk Library. Most importantly, North Street is the location of St. Salvator’s Quad–the oldest part of the university. Two sides of the quad are schools where classes are held. One side is a wall adjacent to an alley and the library. The street side building is St. Salvator’s Chapel. The chapel is the home of the award-winning St. Salvator’s choir which sings in services three times a week. In addition, the chapel is used for concerts and special events. Adjacent to St. Salvator’s Quad is the library. On the ground floor of the library is Edge Cafe, another great place to get coffee and food, especially if you need a study break. Old Union Cafe is built underneath, you guessed it, the Old Union. The rest of the Old Union building is used as offices and event space. 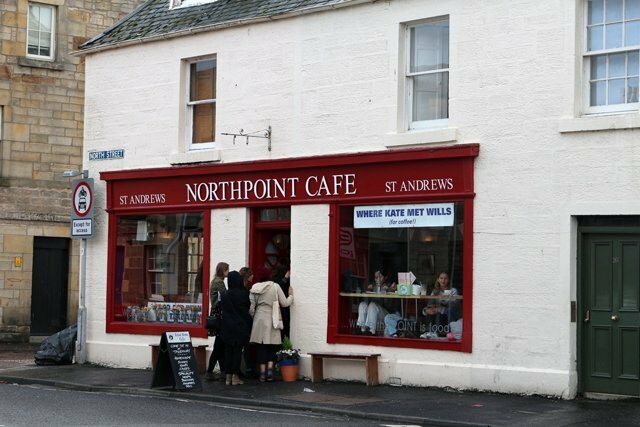 At the end of North Street is Northpoint Cafe, famous for being the place where Prince William and Kate met for coffee. The Scores is easy to overlook because if you walk too far in the wrong direction you end up in the really rich golfing part of town. The Pends is connected to North Street by an alley which runs between the library and St. Salvator’s Quad. If you go left you’ll find lots of expensive hotels, over priced golf shops, and the golfing museum. This is also the location of the Old Course, West Sands (used in the film Chariots of Fire) and the aquarium. To the right are more academic buildings including the university museum (MUSA), the School of English, and St. Andrews Castle. Admission to the castle is free to St. Andrews students who come wearing their iconic red gowns. Below the castle is one of St. Andrews three beaches — Castle Sands. Not everything is located in the center of town. Some of the newest dormitories are located about a mile east on Buchanan Gardens. The athletic complex, observatory, and many of the science buildings are in this area as well. Aldis is the cheapest place to buy groceries, but it can be a little hard to get to. There’s no direct bus route, and it’s located in a residential part of the city that can be a pretty long walk from everywhere else. The botanical gardens and St. Andrews Museum are both located on Hepburn Gardens and worth a visit. There is no train station in St. Andrews, so if you want to visit other parts of Scotland you’ll need to take the bus to the train station in Leuchars (pronounced LUKE-ers). Buses leave from the St. Andrews bus station and most are scheduled to meet outgoing or incoming trains. Fare is a little pricey with a one way bus ticket costing about £3.40 and a round-trip train ticket to Edinborough costing about £30. The culture of St. Andrews is very much a balance of social activities and academics. It’s one of the top universities in the country, comparable to attending Cambridge, so most of the students take their academics very seriously and the library is almost always full. When papers are due or when exams are coming up it can be difficult to find open study space. Society events also wrap up prior to exams because everyone is too busy studying to go out. This focus on academics is balanced with a healthy expectation for fun and social events. St. Andrews has hundreds of student societies. No matter what your interest, there’s something for you. There are societies for almost every academic field, every sport imaginable and every fandom you can think of. There are dozens of musical societies and opportunities for performance, both auditioned and non auditioned. 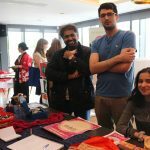 There are general social events hosted throughout the year, including balls, concerts, fairs, festivals, open mics, film showings, field trips, and guest lectures. 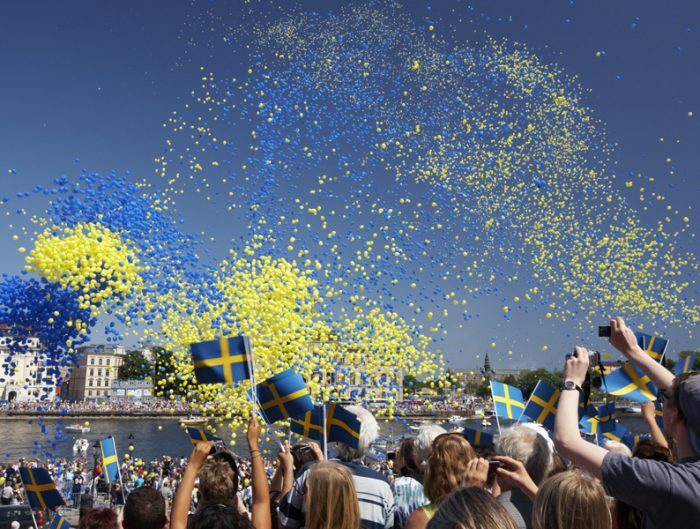 Most societies charge a small fee to join, but many activities are available without joining. 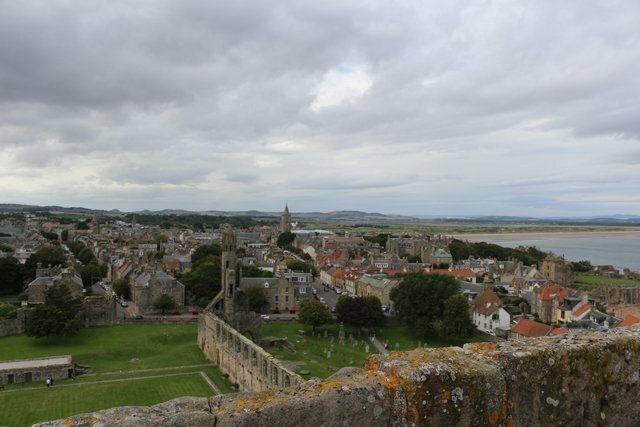 There’s also an academic culture completely unique to St. Andrews due to its history as medieval university and an important place in the Scottish Protestant Reformation. Sunday and Monday of fall break (known as Independent Learning Week) are known as Raisin Monday. This celebration dates back to the days when new students were assigned an academic parent from among the seniors to show them around the university. These ‘freshers’ would thank their academic ‘dad’ by bringing them a pound of raisins. Today the university no longer assigns mentors, but unofficial academic families form at social events throughout the beginning of the semester. 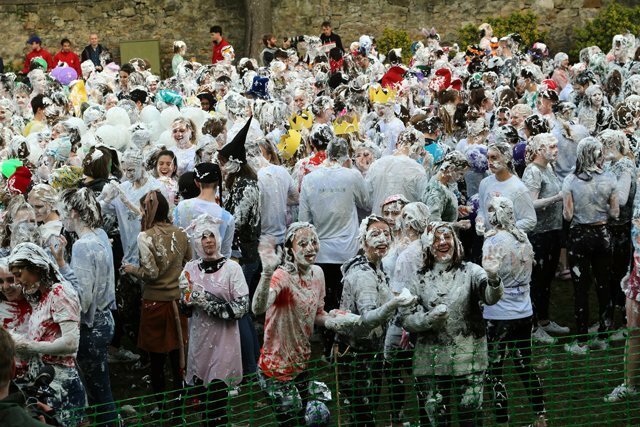 Raisins are no longer exchanged, and have been replaced instead by a two-day celebration concluding with a very large foam fight on the college lawn. A brick monogram in front of St. Salvator’s Chapel marks the spot where Patrick Hamilton was burned at the stake in the early days of the Protestant Reformation. Stepping on his initials are said to cause students to fail their exams. However, the curse can be lifted by participating in May Dip–an event where students run into the North Sea at daybreak on May first. 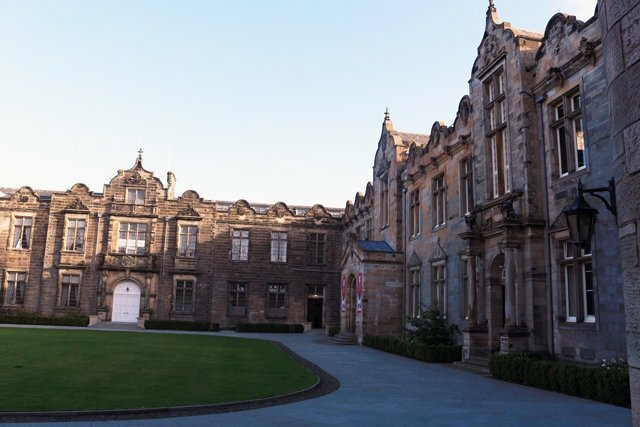 St. Andrews offers students the opportunity to live and study in a medieval city and centuries-old university, while enjoying Scottish culture and everyday life in a charming seaside college-town. 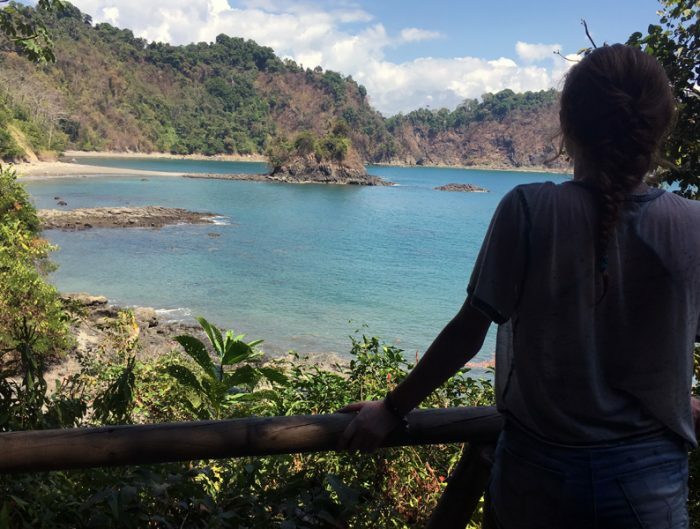 You’ll have no problem finding something to do, clubs and/or societies to join, and enjoying your semester studying abroad in St. Andrews with USAC.